SOS Sales Help Marketing Strategy | Sales and Marketing Inc.
SOS Sales Help is one of our biggest partners in the sales and marketing space, we were honored when asked to help them with their marketing strategy, rebranding, and new website development to showcase their full suite of services. The project included developing a full marketing strategy and implementation timeline for company growth. This is an ongoing process that we execute and fine tune during the rest of the year. We expect to complete phase one of the new marketing strategy and implementation by June of 2018. This project required new logo creation, color scheme development, selection of typography, and development of various print materials. This included our team developing a new target market analysis, buyer personas, competitive analysis, differentiation table, and annual campaign timeline. New website design & development, fully responsive, mobile optimized, with an easy sign up form for new customers. 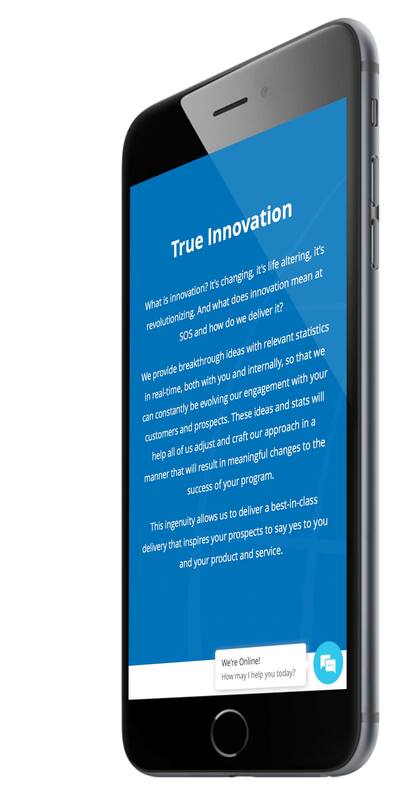 Within the past few years, SOS Sales Help has made it a company mission to revolutionize the call center experience for companies across the United States. However, with this new mission, they also wanted a new brand image to represent this shift in innovation. 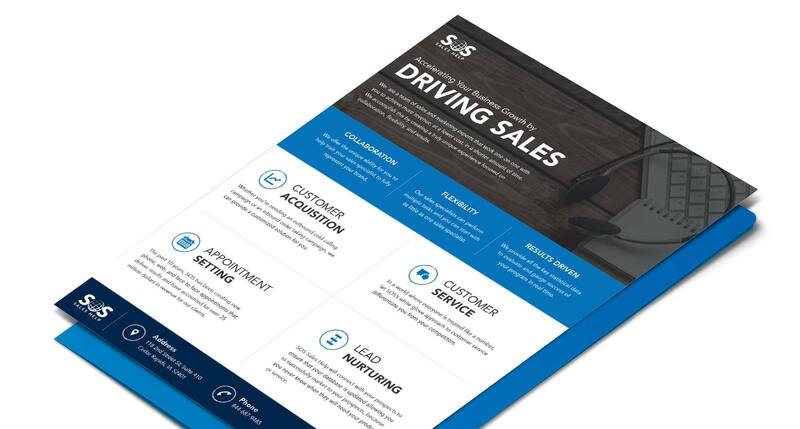 We were excited to complete all of the former objectives listed within three months, allowing SOS Sales Help to launch their new marketing campaign for the majority of 2018. Additionally, all of the content on the website was chosen carefully to speak directly to our client's chosen target market, while also highlighting each of the differentiation points that make SOS Sales Help so unique in this industry. This project included brand development and with every brand development, we strive to create a unique and personalized image for our client. 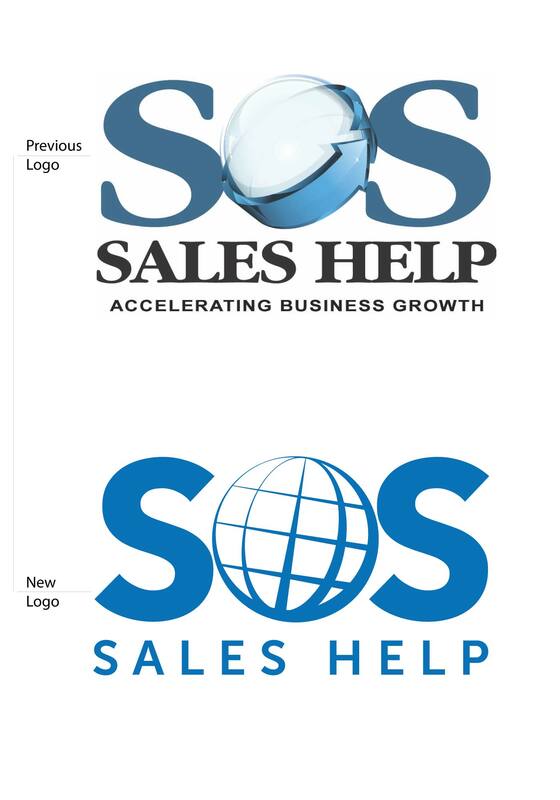 The goal for our team was to create an image that would represent the new and bold SOS Sales Help, while also staying similar to the existing brand image. To do this, we opted to use a bold typeface and a darker blue color for a new contrast. Additionally, to help simplify the logo, we removed the gradient along with the 3D swooping arrow that was in the previous logo. Once the new website and brand had been tested and announced to the company's employees, we announced the new brand across various social media channels, local PR channels, and through the company's organic email list. We are currently experiencing a considerable increase in new traffic to the website. Along with a considerable increase in company inquiries requesting additional information and pricing for services. 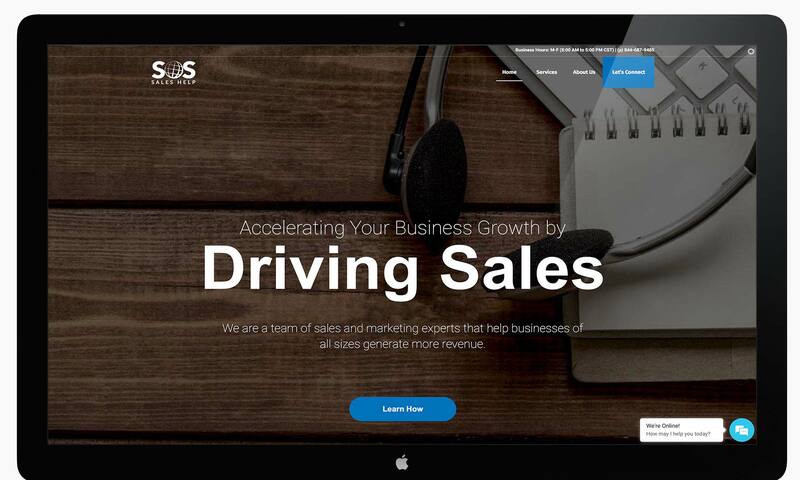 We are expecting an even larger increase next quarter as we begin launching the new SOS Sales Help Content Creation strategy.